Dial 011 + country code + area/city code + telephone number. Try dialing 1-626-388-9788, which is an international access number. After hearing the chime, start dialing 011 + country code + area/city code + telephone number + #. Note: You must be in the U.S. and will need WiFi access to install the APN. 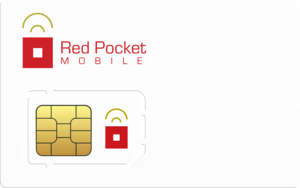 Red Pocket has excellent coverage throughout the United States and runs on the network of the largest U.S. GSM operator. You can check Red Pocket coverage by entering the city and state.